There's something somewhat encouraging Boise State can point to when it comes to facing Oregon State in its opening game of the NCAA Tournament: The Broncos beat Washington 73-69 in December at the Husky Classic in Seattle. 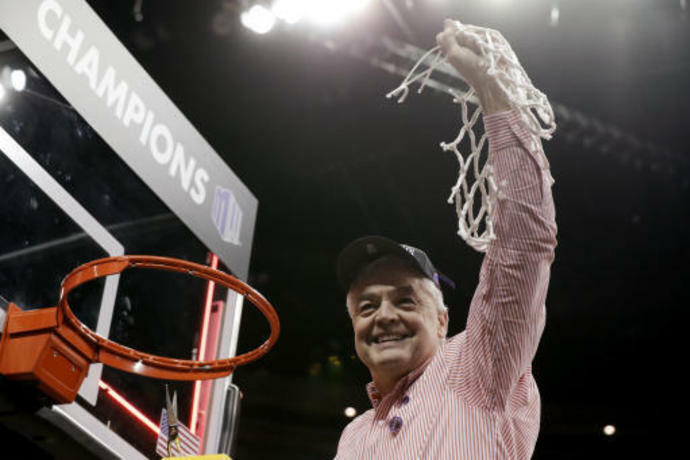 Washington is the team that eliminated Oregon State 68-67 in the quarterfinals of the Pac-12 tournament two weeks ago in Las Vegas - after the Beavers beat the Huskies twice in the regular season. The Broncos are making their third straight appearance in the tournament and sixth overall. Boise State has won the past three Mountain West Conference tournaments, including a 68-51 victory over Wyoming in the title game this season. It was also the team's second straight Mountain West double, capturing both the regular-season and conference tournament titles. Broncos coach Gordy Presnell has been in Boise since 2006, and he said this year's Broncos are special. But history isn't necessarily on Boise State's side as they've never won an NCAA Tournament game. ''It's a great group. It's a great group to be around. I've coached for about 32 years. It's the closest knit group as I've ever been around,'' Presnell said. This is Oregon State's sixth straight visit to the NCAA Tournament. The Beavers have been to the Sweet 16 for three consecutive seasons, including a run to the Final Four in 2016. There were few nail-biting moments over whether Oregon State would host, but then the women's bracket leaked early. ''They back us like no other. Excited that we can play another two games, especially for our seniors in Gill and hopefully send them out the right way.'' Slocomb said. SCOUTING THE ZAGS: Gonzaga was shaken in the West Coast Conference tournament, losing senior starter Laura Stockton and reserve guard Jill Townsend to season-ending injuries. Then, in the fourth quarter of the team's 82-68 loss to BYU in the tournament final, coach Lisa Fortier left to join her brother in the hospital. He later died of complications from muscular dystrophy. The Trojans have been to the NCAA Tournament six times since 2010, and they've won twice, including an upset of Texas A&M in the tournament opener in 2015. 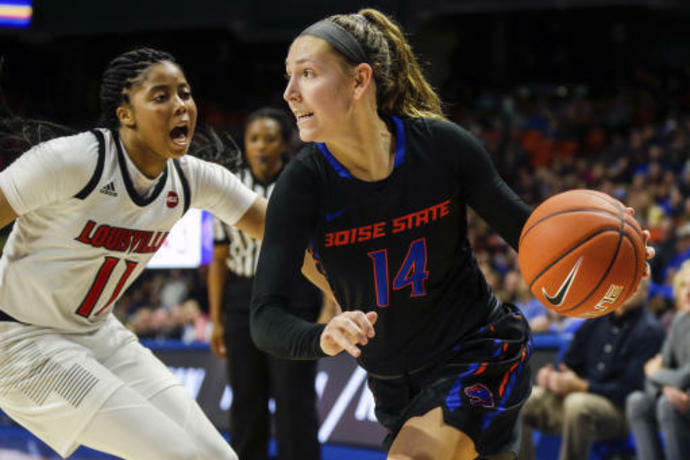 ALL IN THE FAMILY: Boise State junior guard Braydey Hodgins was named Mountain West tournament MVP after averaging 23.3 points per game over the three wins - including a tournament-record 37 points in the quarterfinals against Nevada. She's averaging 13.4 points per game for the season. Turns out she's not the only talent in the family. Older sister Haley finished her career at Eastern Washington in 2016 as the school's all-time leading scorer, until sister Delaney surpassed her the next year. Mom Karen Hodgins played at Washington and still ranks in the school's top-10 in scoring. 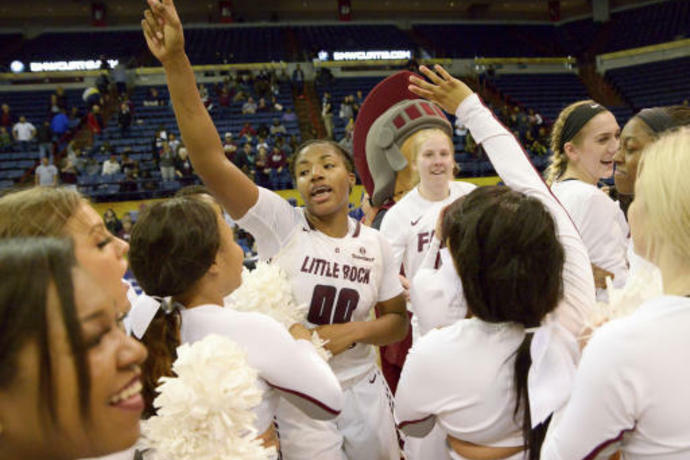 LOOKING AHEAD: The winners of Saturday's games will play Monday for a chance to advance to the Sweet 16 in Albany, New York. 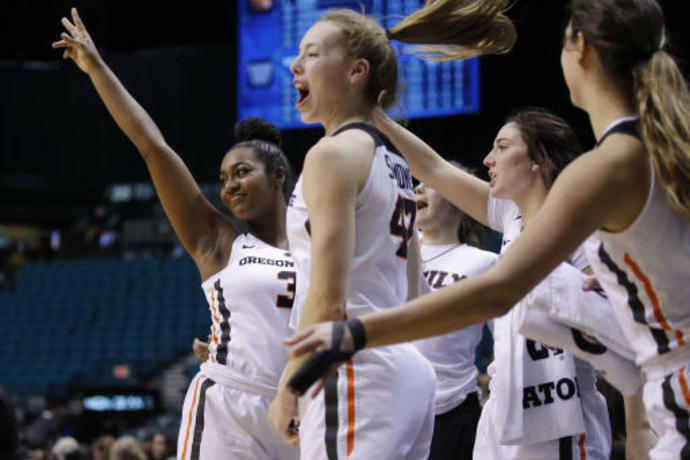 The Beavers join eight other teams - UConn, South Carolina, Notre Dame, Baylor, Stanford, Texas, UCLA and Mississippi State - that have made the Sweet 16 field for in the last three seasons.